Willkommen zur neuen Wochenchallenge vom Global Design Project» Team. Ganz zum Schluss habe ich noch mit dem Wink of Stella Clear Stift die Karte besprenkelt. Wie ich das mache, zeige ich euch im nächsten QuickTipp Video. So stunning! 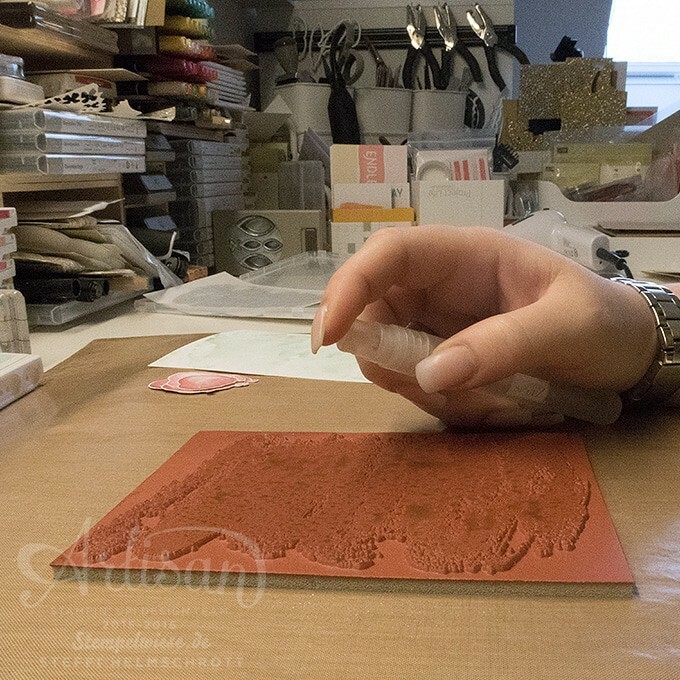 I adore this – the background looks so amazing, I must pull out that background stamp set and try your spritzing/watercolour technique. Danke! Deine Karte ist klasse! Die Luftballons mit dem tollen Hintergrund sehen wunderbar aus. I am totally trying that background technique! You just blew my mind! Beautiful, Steffi. 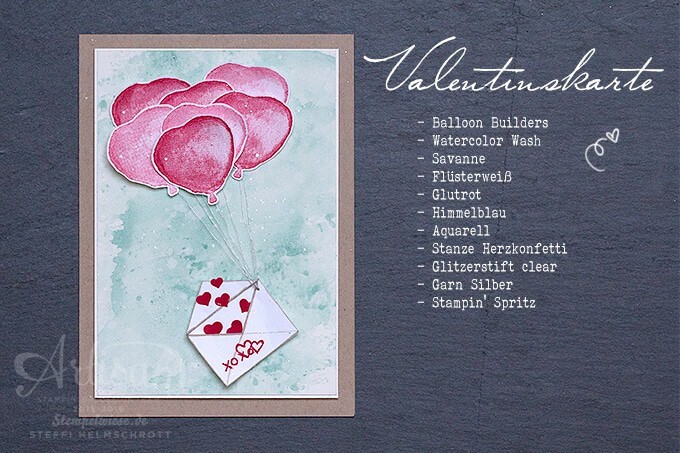 Thanks for showing us how you created that gorgeous background, and I love the envelope being pulled by the balloons. So cute. As always, this is GORGEOUS, Steffi! Such a clever idea. 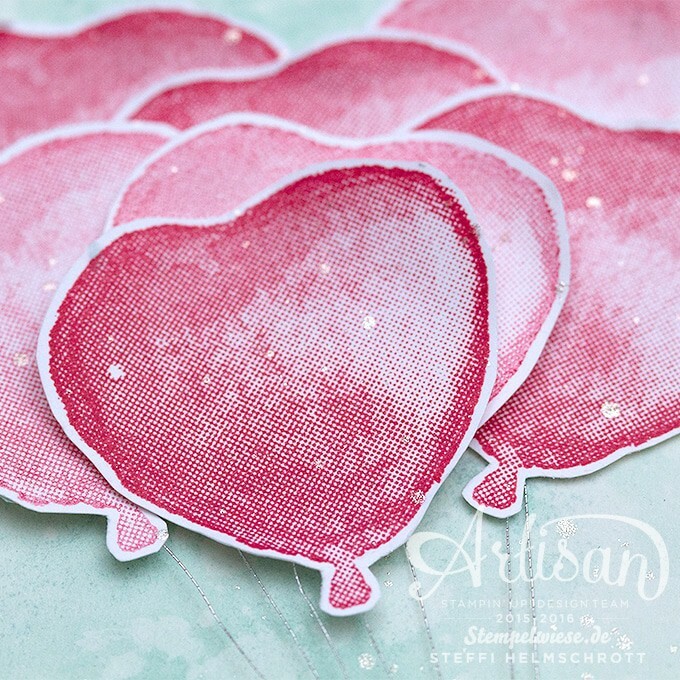 You make the most beautiful backgrounds for your cards – this one is lovely and perfect for the bouquet of love balloons. Deine Karte gefällt mir so was von gut, Steffi! Auch die Art der Präsentation. Und vielen Dank für den Tipp mit dem Hintergrundstempel – er steht noch auf der Wunschliste, aber wenn ich ihn habe, werde ich das ausprobieren! Gorgeous card Steffi! Fabulous and fun. Beautiful background.